Typically, when it comes to clothes I need color...lots of it. Red, blue, green and orange are my basics and ones I tend to grab for when shopping. The proof is in most of my posts. During the spring and summer months, you will most likely see me in vibrant colors and prints...they just seem appropriate for and go hand-in-hand with the warm and sunny seasons. Have a great weekend and Happy Father's Day to all the dads out there! Are any dads even reading? Probably not. Ha! Ladies, make sure to recognize them and give them an extra squeeze or three! I know I will. P.S. 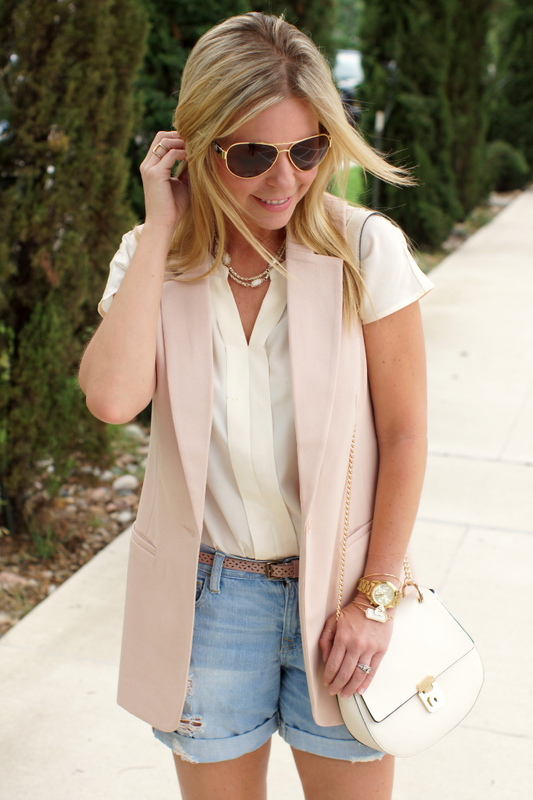 If you are looking for a neutral colored vest for all season, I highly recommend this one from Forever 21. It's from their contemporary line, so be sure to size down. I purchased a size small. 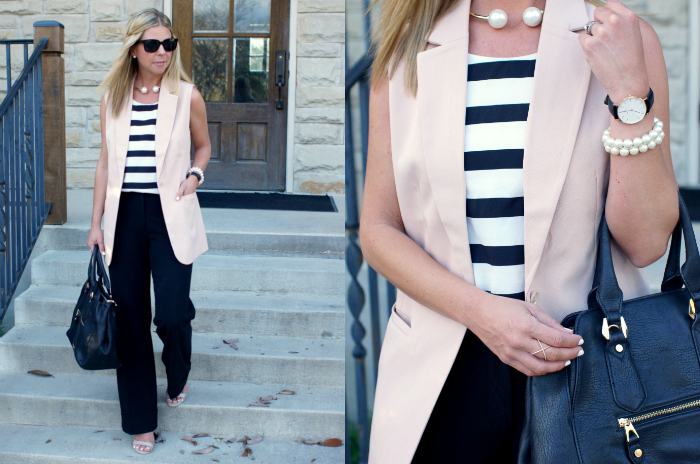 Below is another way I styled it and the full post from a few month back.